Concrete waste, iron ore, copper ore, gold ore, manganese ore, gravel, granite, river stone, basalt, limestone, dolomite, quartz, coal, etc. Mining, metallurgy, construction, highway, railway, and water conservancy, etc. S series is the most widely used cone crusher in mining area with reliable and outstanding performance until now. 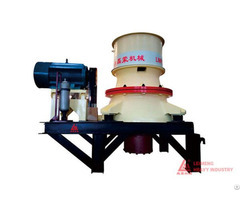 Both the standard and the short-head of S series cone crusher can be filled with full capacity. 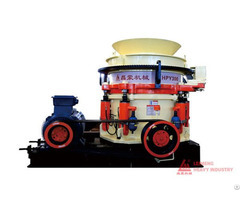 The appliance of hydraulic pressure technology enables the S series multi-cavity cone crusher to adjust the discharging port and empty the cavity. 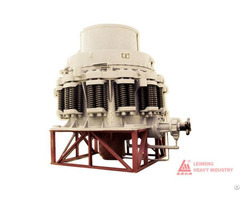 The S series cone crusher is easy to operate and remarkably efficient. Business Description: LeiMeng Heavy Machinery Group, a high-tech enterprise, is specialized in researching, developing and manufacturing large-scale crushing&screening plants and mining equipment; provides relevant technology consulting services. LeiMeng Group met ISO 9001 certified in 2010. The branches under Lei Meng Group are: Guangzhou Lei Meng Machinery Equipment Co., Ltd. , Guangdong LeiMeng Heavy Machinery Manufacturing Co., Ltd. , Shenyang Heavy Machinery Factory, Guangzhou Tianhe Longdong Changjiang River Machinery Factory, Sichuan LeiMeng Machinery Equipment Co., Ltd. , Chengdu LeiMeng Machinery Equipment Co., Ltd. Etc., Deyang LeiMeng Machinery Manufacturing Co., Ltd. The Group holds fixed asset amounted to 200 million RMB and has more than 150 sets different types of machining equipment. LeiMeng has more than 1000 employees, including about 200 technicians. "Integrity-based, Customer first". 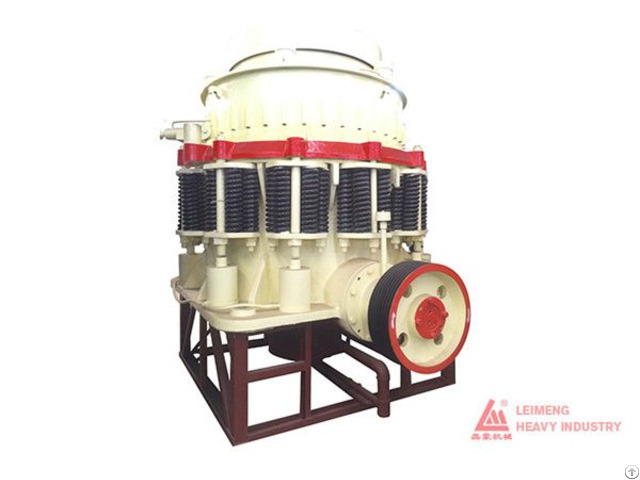 With the high standard production, exquisite craftsmanship, and perfect after-sale service, LeiMeng has accumulated rich experience in the field of crushing&screening equipment manufacturing, and systems R&D. LeiMeng Group provides customers with “crushing system contracting”, which is called Turnkey Project. LeiMeng Group also undertakes operating project of crushing system.